When you have a lot of work to do, it helps to have a private space away from the hustle and bustle of the rest of your home. Whether you telecommute, run an online business, or simply need a place to check your emails in peace, having your own home office will do wonders to enhance your organization and productivity. At Star Furniture, we are pleased to provide an extensive collection of office desks that will help you create the home office of your dreams. Learn more about our home office furniture collection and how our products can help you bring structure and order to your daily workflow. 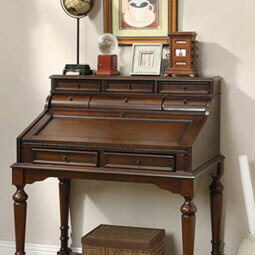 Writing desks are the perfect choice for a person that prefers a simple, streamlined workspace. Our writing desks feature clean lines and minimalist designs that provide plenty of room for work materials, yet take up limited space in your home. 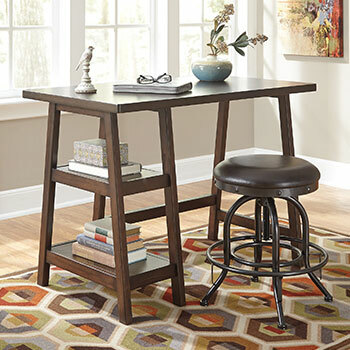 Our writing desks are compact and versatile, and they are a great fit for smaller spaces and apartments. Computer desks are another fantastic home office option, especially if you prefer to do your work on a desktop computer. Our computer desks feature ample space for your computer monitor and mouse, plus a convenient pull-out desk for your keyboard. Our computer desks make it easy to set up a workspace that is orderly and efficient. 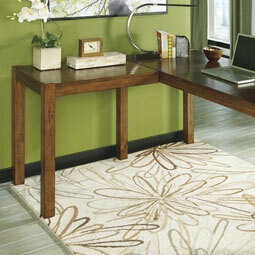 If you are a multi-tasker, then a corner desk is likely to be the best option for you. Corner desks offer space on both sides, allowing you to spread out your materials and even work on multiple monitors, if necessary. We even sell L-shaped corner desks with built-in office credenzas, which provide ample storage space for all your documents and office appliances, including printers and fax machines. 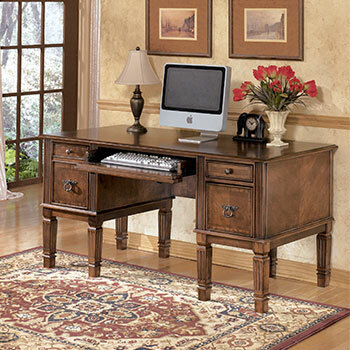 If you are ready to start building your own home office, come to Star Furniture and let us help you create the perfect workspace that fits within your budget. 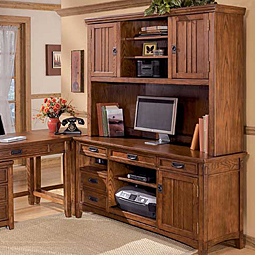 You can shop our complete home office furniture collection at our Lafayette, IN furniture showroom today!